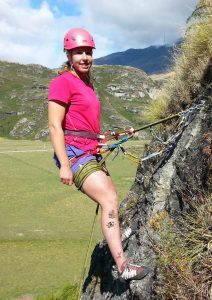 Lots of people travel to attend our rock climbing courses and we like to make it easy. We offer free pick up/drop off service for people travelling from out of town, from the airport and Christchurch City centre accommodation. Talk to one of our friendly team about our pick-up/drop off service. If you’re planning on bringing your own gear or borrowing from a friend, here’s an idea of what to bring (we’ll send a full gear list upon booking ). We recommend holding off purchasing any new climbing gear until after the course (except climbing shoes). Why not buy new stuff? so you can optimise on your instructors knowledge and recommendations. 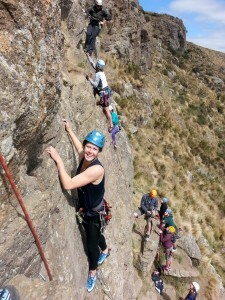 It is recommended that you have some climbing experience before attending this course. Give us a call or email is your not sure if this is the right course for you.